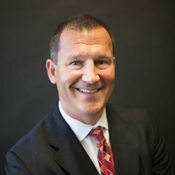 Jamie Asher is a Financial Services Professional with WestPoint Financial Group, a statewide firm and a general agency of Massachusetts Mutual Life Insurance Company (MassMutual). Jamie attended the University of Louisville and earned scholarships to play football and baseball. He was later drafted to the NFL and was recognized in 1997 as a Pro Bowl alternate and led the Redskins in receptions three out of four years with the team. During his pro career, Jamie also spent a portion of his time speaking at multiple charitable events. When he retired in 2000 due to injury, Jamie returned to his home state of Indiana to begin a career as a Financial Representative with a goal of helping others with their financial needs. Jamie Asher belongs to St. Barnabas Catholic Church, and is active in committee work, as well as coaching football and basketball for the St. Barnabas teams. He also is a Member of the National Association of Insurance and Financial Advisors. In his spare time, Jamie enjoys outdoor activities such as hunting, fishing and golfing. Jamie is also active in sports and above all, likes to spend time with his family, including wife Diann and children Josie, Jones, Daniel, Stella and Mitch. Jamie Asher is a registered representative of and offers securities through MML Investors Services, LLC, Member SIPC Supervisory office 900 East 96th Street, Suite 300 Indianapolis, IN 46240 Phone (317) 469-9999. WestPoint Financial Group is not a subsidiary or affiliate of MML Investors Services, LLC or its affiliated companies.